EMP effects on communications, more information. The original thread is closed for comments, but I thought people with an interest in the earlier discussion would be would be interested in this article. The Vietnam mine incident was part solar storm, and part incompetence. I'll leave it to the reader to research 'telluric currents', which is how the energy got transferred to the mines. The incompetence part comes from ignoring standard procedures and safeguards when laying the minefield. The US and other major military powers of the world have long and detailed empirical examples of those threats. Too many of them in the wrong proximity to each other leaves them vulnerable to such a spiked telluric charge. Since WW1 it's been known, which is why such incidents are so rare. If anyone hopes to understand why the earth is threatened by solar activities, they need to research four things. 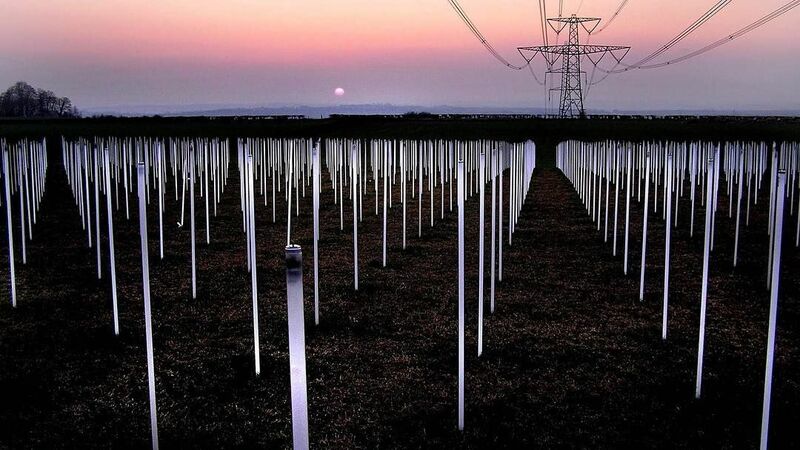 If you want to see real world examples of electrical fields and how they interact with things, simply watch one of the numerous videos where someone has taken a 4' florescent tube and gone under some high voltage power lines. That's stuff we have happen every day here already. Someone spent some money and effort to make that image. Yeah, but it does sort of prove the point, because it's not faked or Photoshop. Helicopter maintenance on LIVE high voltage lines. I've witnessed the helo work on the lines live. I don't know what they pay them, but whatever it is, it isn't enough.